they have not so good talents. do you know if management will want to sell the bank one day? other than this and the bid ask spread, I dont have much worry about it. This is a conservatively-run bank. They’re cautious lenders and they don’t pursue growth aggressively. Despite the good demographics, this bank is cautious and even a bit stodgy. They tend to focus on capital return over reinvestment, hence the steady decrease in shares outstanding over time. However, Southern will make moves when the time is right. They have acquired failed banks with FDIC support and make occasional strategic purchases. It’s interesting to compare it to First Citizens, which has been an aggressive grower and acquirer. 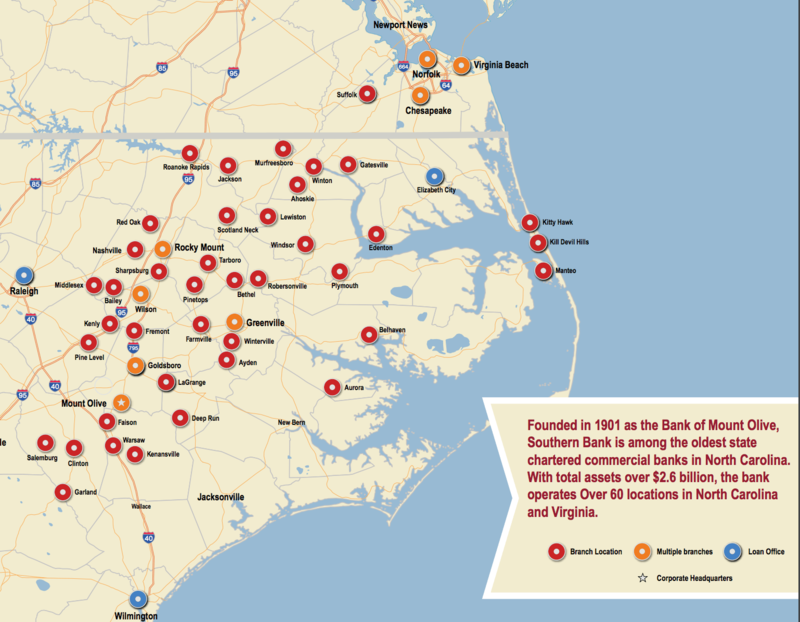 Southern actually boasts a better long-term track record of book value growth. Thank you！ I just bought a share today. I was reading its financials, and the bank seems to be selling its stake in First Citizens in the past two years(not sure about earlier). I was wondering if there is any tax-efficient way for monetizing it. Lastly, have you spoken to its management, by any chance? I was curious what are your impressions if you have talked with them. Ironic that you post this just days before North Carolina gets hit by a hurricane, perhaps the worst in 60 years. I’ll postpone doing my due diligence until I can see what’s left of its customer base in a week’s time. Strange timing indeed! Good luck to the folks in the hurricane’s path. Despite any damage, I have little doubt that North Carolina will continue to be a growth market for a long time to come. Traditionally hurricanes have assisted banks via insurance proceeds and working capital loans to the construction and building materials sectors. Do you tax affect the fcnca stake? Sad the Holdings insist on dual class. Not sure why the banks arent combined but perhaps the tax issue would be moot in that event. Would you expect the imminent hurricane to put share prices at risk? Where did you find the ownership of the First Citizens shares disclosed? I have not been able to find it. Christian – It is disclosed in the notes to the financial statements, which can be found on their website. My experience with First Citizens BancShares (FCNCA) started when I purchased shares in FCBN. FCBN was largely held by the Holding family, who also control FCNCA. I always felt FCNCA would end up buying FCBN, which they did. I received 4 shares of FCNCA for each share of FCBN, plus $50 cash. SBNC seems like a bargain way to get exposure to FCNCA. FCNCA is a very acquisitive bank, and it would not surprise me at all if FCNCA bought SBNC in the future. I wonder what the tax implications would be for the shares held by SBNC in this scenario? Also, you can currently purchase the B class shares of First Citizens at a fairly meaningful discount to the A shares. The current spread is over 10%. If liquidity is not an issue for you, and you want to hold FCNCA, you could instead buy FCNCB for a bit less, and pick up the additional voting rights. I would still prefer buying SBNC though. The discount seems even greater there. Great find, and thank you for posting! This article gives the light in which we can watch reality. This is charming one and gives indepth information. Thankful for this charming article.